WE HUMANS NEED AIR TO LIVE, so we do best around sea level. Airplanes are at their best up high, where the air is thin and smooth. And therein lies the rub: We invented a machine that thrives where we don’t. This became obvious as soon as engine power increased to a point at which aviators could reach altitudes where they lost consciousness. At first, fliers coped by filling tanks with pressurized oxygen and inhaling the gas through rubber tubes; later, form-fitting face masks made oxygen delivery more reliable. In many high-flying light airplanes and military aircraft, oxygen systems and face masks are still used to keep the pilot alive and conscious. 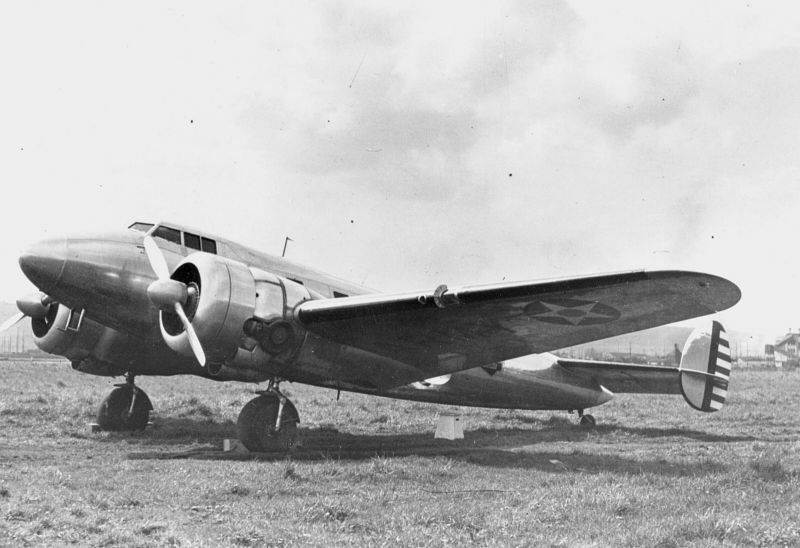 In 1937, the U.S. Army Air Corps began research flights in a modified Lockheed Electra; the XC-35 was the first airplane built with a pressurized cabin. The fuselage was designed with a circular cross-section to eliminate stress points when the fuselage expanded under pressure. Openings were sealed to prevent air from escaping. Windows were reduced in size and strengthened, and the cabin inside became a pressure capsule—like a big aluminum can—that held five people. In 1937, the XC-35 earned the Air Corps the Collier Trophy for most significant development of the year. Two years later, Boeing submitted a design to the Air Corps for a long-range bomber, the B-29 Superfortress, which would have pressurized compartments for the crew. And in 1940, Boeing’s 307 Stratoliner began flying passengers in pressurized comfort at 20,000 feet. Today all airliners are pressurized, and although the details vary among them, the basic elements of cabin pressurization systems are almost universal. Air is pressurized by the engines. Turbofan engines compress intake air with a series of vaned rotors right behind the fan. At each stage of compression, the air gets hotter, and at the point where the heat and pressure are highest, some air is diverted. Some of the hot, high-pressure air, called bleed air, is sent to de-ice wings and other surfaces, some goes to systems operated by air pressure, and some starts its journey to the cabin. Now the air is ready to mix with air from the cabin in a mixer, or manifold, that adds the new air to the recirculating cabin air, which is moved by fans. To maintain a comfortable temperature for the passengers, automatic systems regulate the mixture of heat from the engines and cold from the air packs. To maintain the pressure in the cabin equal to that at low altitude, even while the airplane is at 30,000 feet, the incoming air is held within the cabin by opening and closing an outflow valve, which releases the incoming air at a rate regulated by pressure sensors. Think of a pressurized cabin as a balloon that has a leak but is being inflated continuously. On the ground, the airplane is unpressurized and the outflow valve is wide open. During preflight, the pilot sets the cruise altitude on a cabin pressure controller. As soon as the weight is off the main wheels at takeoff, the outflow valve begins to close and the cabin starts to pressurize. The airplane may be climbing at thousands of feet per minute, but inside the cabin, the rate of “climb” is approximately what you might experience driving up a hill. It might take an average airliner about 20 minutes to reach a cruise altitude of, say, 35,000 feet, at which point the pressurization system might maintain the cabin at the pressure you’d experience at 7,000 feet: about 11 pounds per square inch. Your ears may pop, but the effect is mild because the climb rate is only 350 feet per minute. When the airplane descends, the pilot sets the system controller to the altitude of the destination airport, and the process works in reverse. The structural strength of the airplane determines how much differential pressure the cabin can tolerate—a typical figure is eight pounds per square inch—and the fuselages of new airplane designs are pressurized and depressurized many thousands of times during testing to ensure their integrity. The higher the maximum differential pressure, the closer to sea level the system can maintain the cabin. Federal Aviation Regulations say that without pressurization, pilots begin to need oxygen when they fly above 12,500 feet for more than 30 minutes, and passengers have to use it continuously above 15,000. On airliners that operate at altitudes well above that, regulations require that everyone aboard be supplied with 10 minutes of oxygen in the event the cabin pressure can’t be maintained, which brings us to the dramatic scenario known as explosive decompression. If the door blew off a jet at altitude, all the air in the cabin would depart very quickly and a momentary thick fog would envelope the cabin as the water vapor in the air condensed instantly. Loose articles would fly around and foam rubber would burst as the tiny air bubbles within it expanded. Within a couple of seconds, oxygen masks would drop down from the overhead panels, and you would have to pull yours toward you and place it over your mouth and nose. The act of donning the mask tugs on a lanyard that starts the flow of life-sustaining oxygen. If you’ve been following news reports and have heard that more armed air marshals are flying these days and that a stray bullet would cause decompression, you can stop worrying. The airplane already has a huge hole in it called the outflow valve. And air marshals are reputed to be excellent marksmen.